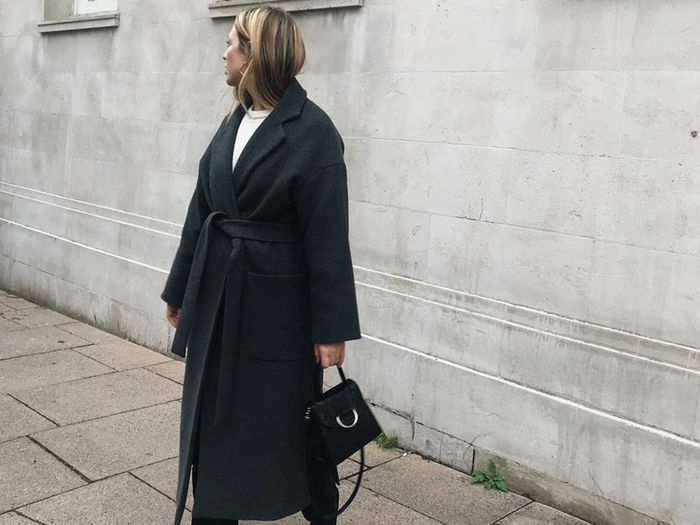 The big coat hunt we face each year never gets any easier, but with a helping hand from our fashion editors, you'll be making your final decision before you know it. With so many amazing cover-ups out there (like a classic camel or statement coat), it's tricky to know which one to invest in, but there's one hue that's caught our eye for all the right reasons, and we're not the only ones. Model Adwoa Aboah and the rest of the street style set are all heading in the same direction when it comes to coat colours. Their preference? Pink. Whether it's pink in a pastel, dusty or neon shade, make room in your wardrobe this autumn/winter for the happy hue. Style Notes: Corduroy is massive this season. Shop Adwoa's exact coat below (be quick though, it's got "sold out" written all over it). Style Notes: Faux fur never dates. You can't go wrong by clashing your pink offering with primary colours. Style Notes: Make like Annabel and go matchy-matchy with accessories—it's bound to get you noticed. From faux-fur perfection at Topshop that'll see you right through to party season (yes, we're already outfit planning) to the tailored Valentino coat you'll have in your wardrobe for the rest of time, there's a coat style for everyone. Clash pink outerwear with statement hues like red or green, or keep it tonal with rich berry and earthy tones. Either way, your pink purchase will end up going the distance and working with all of your new-season pieces. Keep scrolling to see and shop our edit of the 18 pink coats that'll make you look and feel your best. It's basically a third of the original price. Enough said. This is Adwoa Aboah's exact cord coat. Make this your new 9-to-5 coat. It'll look just as good with grey jeans and burgundy boots now as it will with a sequinned dress come party season. Make a serious statement in neon pink. You'll never let this one go. It also comes in black and a check pattern, too. We can always count on Burberry to create a hero buy. This retro number will go with every frock in your wardrobe. It comes with a tie belt so you can cinch the waist. The sleeves and oversized fit of this trench are everything. A light pastel will see you through winter and beyond. Pink and brown just became the perfect combo. This will look amazing with checked trousers. You'll want to wear this over a sequinned dress. A great investment piece that looks so chic on. If you want to go all-out. Need more shopping inspiration? Here are the nine new autumn pieces you'll want to buy this week.